Ever wonder what your child might experience when you sing to him? Every child's development benefits from early exposure to music and movement. Because the early months are so important, Music Together® offers two options for babies. 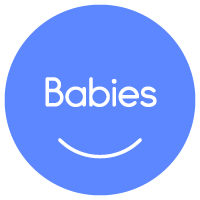 Babies 8 months and younger at the time of registration may attend a Mixed Age Class, whether registered independently or attending free with an older brother or sister. Families with infants are also invited to take our Babies Only class, offered as a one-semester introduction to Music Together. (The Babies Only class is intended for infants who are not yet moving around and therefore, cannot be repeated). The music activities and materials are specially designed for parents and caregivers who want to learn as much as possible about music development in babies. In class you will meet other parents of infants and learn some fascinating music activities you can repeat at home with your baby. Materials include 2 professionally recorded CD's, a songbook and parent education materials. The fee for the class is $145.00. There is a one-time non-refundable fee of $15.00 for new families. The term is 8 weeks and meets for 45 minutes. Reservations are required. If you have questions about the Babies class not answered here, please contact Miranda at director@catskillmountainmusictogether.com.